"There's a difference between representation mattering and the way we often decide that it matters, which is through the visual imagery." While hardly a new problem in the media landscape, issues of representation both in front and behind screen have reached new peaks in the cultural discourse through campaigns like #OscarsSoWhite. But what does the path forward look like? Kristen Warner, a scholar of media industries, brings her unique research to the podcast to look at issues of colorblind casting and what she calls "plastic representation." Kristen and Peter look at a number of televisual milieus in which representational politics play out on our screens, and Kristen challenges a lot of issues to ask when real authentic people of color actually appear. Finally, the two discuss Magic Mike XXL, one of the most unique films of the last decade and a rare site where people of color have been in some way given their space. Kristen explains how a film with a white director and almost all-white cast somehow envisions a utopic vision of diverse American culture. "When I'm writing about acting, I'm trying to be in the moment with them." Perhaps in danger of becoming a new cliché for the show, Peter remains fascinated by actors: what is this business they do and how do they do it, especially those stars that littered the studios in Hollywood's Golden Age? 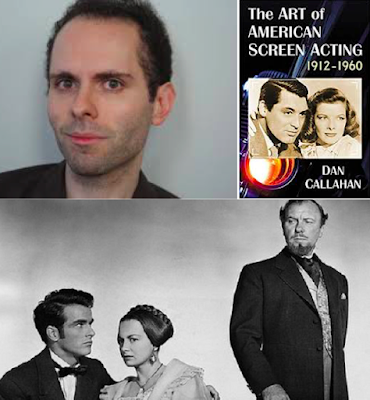 Answering that question is film and theatre critic Dan Callahan, who has gone in depth on many of those actors. His new book, The Art of American Screen Acting, explores the Classical Hollywood style of performance through twenty essays on Hollywood's best and brightest. Peter asks about the genesis of the book as well as various technical aspects remarked upon, as well as on Dan's other two totems on Barbara Stanwyck and Vanessa Redgrave. Finally, the two look at the site of a true clash in William Wyler's The Heiress, where four titans of Hollywood—all with different styles—produce one of the most confounding and wondrous mixtures of screen performance one could possibly imagine.